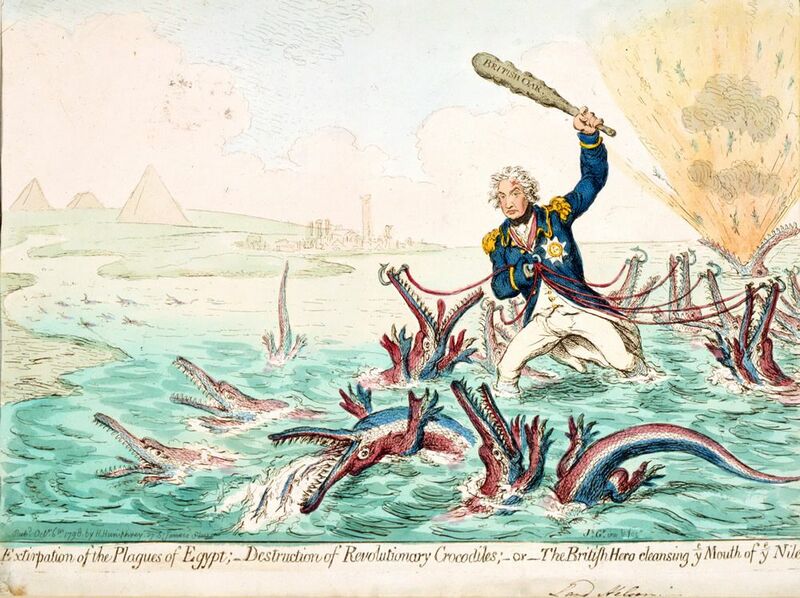 Colour cartoon of Lord Nelson destroying French revolutionary crocodiles with a club whilst holding others by hooks. This Extirpation of the Plagues of Egypt Art Print is created using state of the art, industry leading Digital printers. The result - a stunning reproduction at an affordable price.